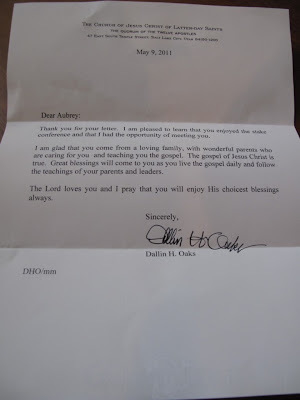 Silly Mommy : Elder Oaks wrote a letter to Aubrey! 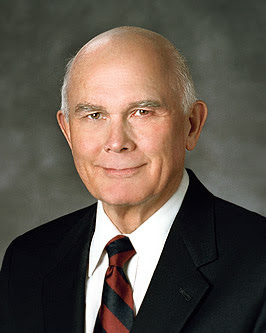 A couple of weeks ago Elder Dallin H. Oaks of the Quorum of the Twelve Apostles of the Church of Jesus Christ of Latter-day Saints visited the area for a special conference. His words were inspiring and uplifting. It was an amazing conference! We weren't able to be in the building he was speaking at so we were a little bit bummed to watch via satellite just a few minutes down the road from where he was...however, we were surprised when we arrived and found out he would be coming to our building to meet with and shake hands with the members where we were after the conference! We were so excited! During the conference, Aubrey had the neat idea to write him a letter so that she could give it to him when she met him. She even wrote her address on it(she is a great little thinker) so he could write her back. It was a sweet letter that thanked him for coming to visit us and that she was excited to meet him. She told him a little bit about herself and her family. She also wrote that she has loving and caring parents that teach her the gospel of Jesus Christ(It was so sweet!) She handed it to him when she met him and he thanked her and put it in his pocket. This girl is amazing. She truly is. I am proud to have her as a daughter! We all hoped he would write her back. I had a good feeling he would. 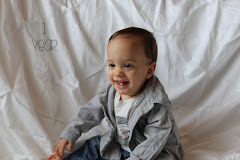 And a couple of pictures. . . 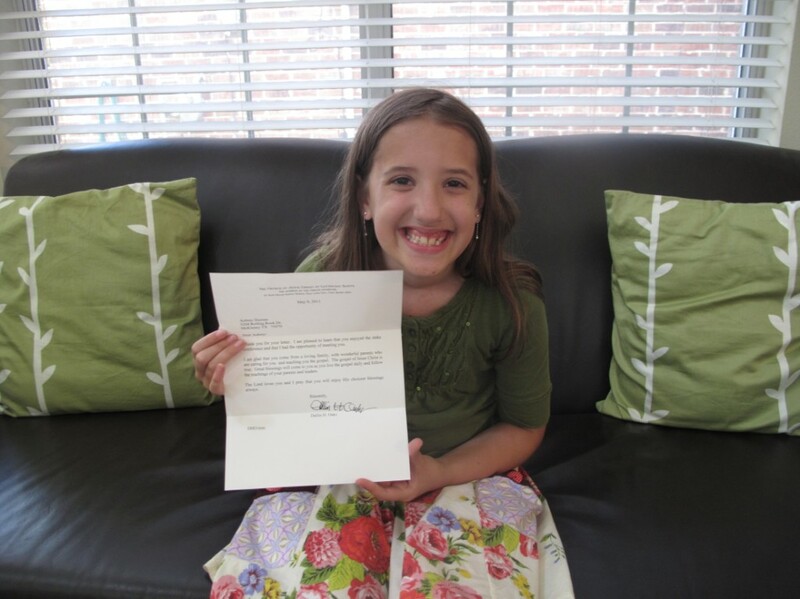 I am truly grateful that Elder Oaks took the time to write our sweet daughter back. It bore powerful testimony to her and helped to strengthen her own(and mine as well). I know it is something she will treasure forever. And its a memory I will always treasure. Thank you Elder Oaks. We love you, sustain you, and appreciate the work you do on our behalf. 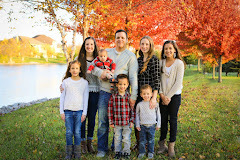 I have a strong testimony of the leaders of our church. I know they are men of God. That totally made me tear up. So glad I visited here today! Made me tear up too. I am so happy that Aubrey seems so in tune with the spirit. What a great blessing to have a daughter so close to her Father in Heaven. What an amazing experience for Aubrey!